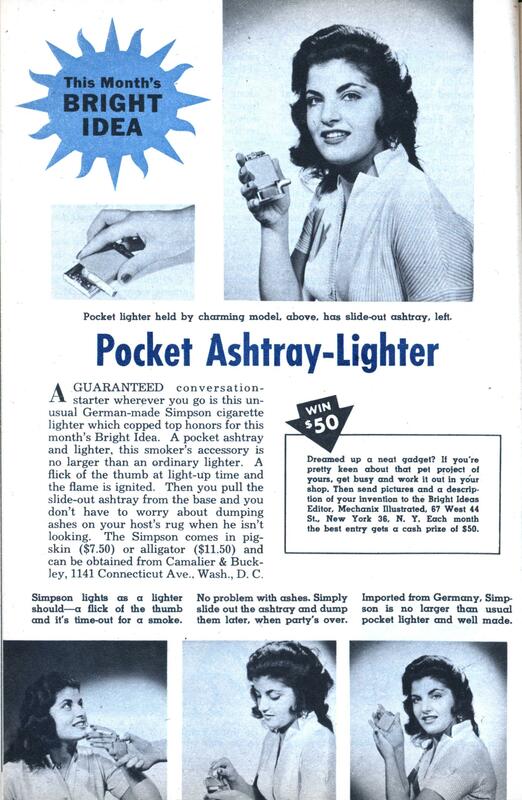 A GUARANTEED conversation-starter wherever you go is this unusual German-made Simpson cigarette lighter which copped top honors for this month’s Bright Idea. A pocket ashtray and lighter, this smoker’s accessory is no larger than an ordinary lighter. A flick of the thumb at light-up time and the flame is ignited. Then you pull the slide-out ashtray from the base and you don’t have to worry about dumping ashes on your host’s rug when he isn’t looking. The Simpson comes in pigskin ($7.50) or alligator ($11.50) and can be obtained from Camalier & Buckley, 1141 Connecticut Ave., Wash., D. C.
Dreamed up a neat gadget? If you’re pretty keen about that pet project of yours, get busy and work it out in your shop. 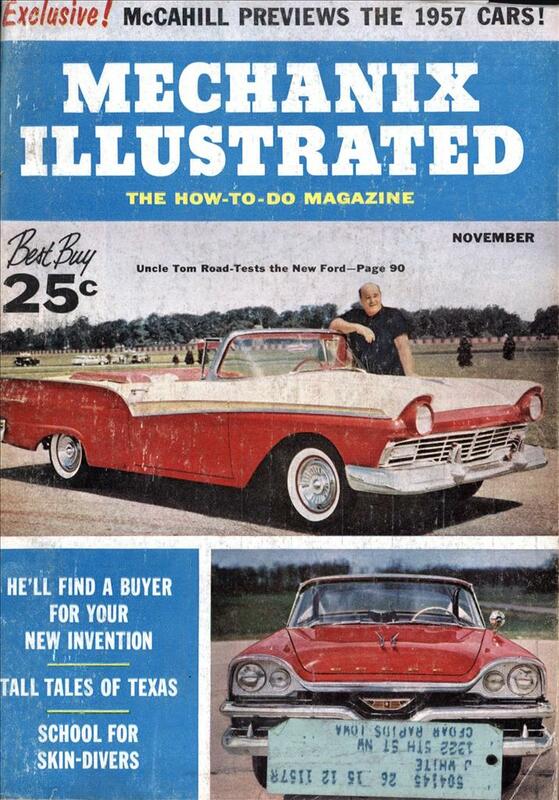 Then send pictures and a description of your invention to the Bright Ideas Editor, Mechanix Illustrated. 67 West 44 St.. New York 36, N. Y. Each month the best entry gets a cash prize of $50. You think she needs to know how to make conversation? @ Charlene – I’ed pay $11.50 just to watch her smoke that cigarette!